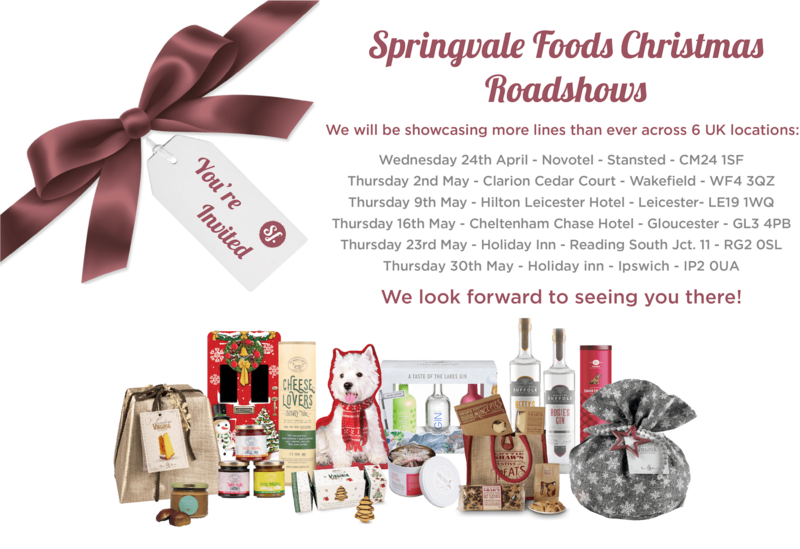 This year we have more new lines than ever before, all of which will be presented at our six Christmas Roadshows. who will also be showcasing their new Christmas products too! At each show our team will be there ready to answer any questions you may have, and give you any help you may require when selecting your Christmas 2019 range. The New Snak Shed Look Has Arrived! sustainable packaging and the nations favourite snacks! At Snak Shed we are a fun-loving bunch who don't take things too seriously. But when it comes to the environment, we leave no stone unturned! The biodegradable cups are 100% biodegradable since they are completely plastic free. Made from corn starch, they decompose over time in the right conditions. Designed for those on-the-go, the Snak Shed cups are the perfect fit for a lunch box, brief case, sports bag or road trip! to create the honest snacking experience that Snak Shed brings. by purchasing a Snak Shed cup to conquer your cravings! 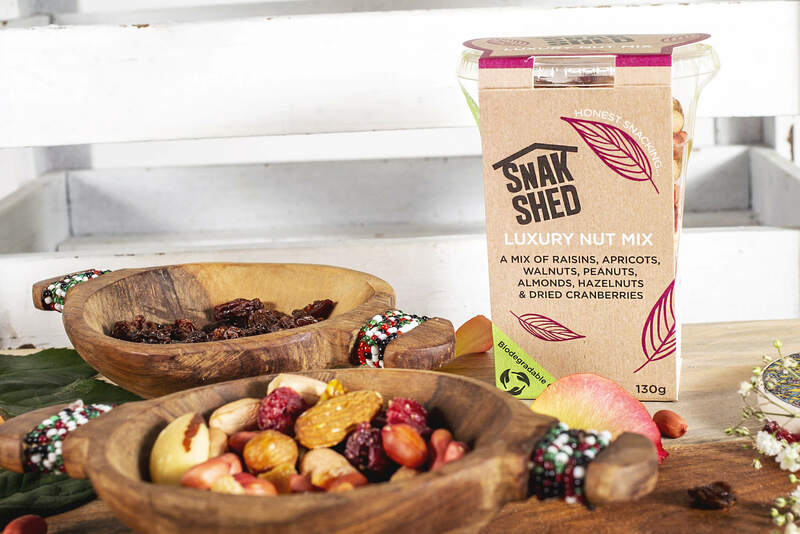 Snak Shed remains a brand by Springvale Foods so is exclusively available from the Springvale Website. It goes without saying that the popularity and demand for vegan, dairy-free and gluten-free products is at an all-time high across the UK. Vegan friendly and free-from foods have become widely accessible in mainstream food outlets, with the increasing demand for the speciality food market to follow suit. 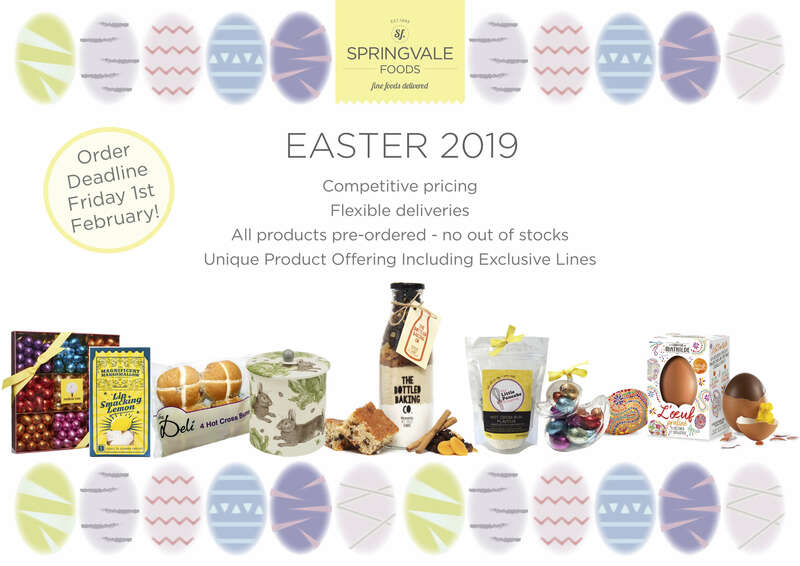 The buying team at Springvale have been working hard to partner with some exceptional brands with a strong point of difference, and exciting vegan and free-from ranges. Introducing Heavenly Bakes, a.k.a The Healthy Baker. Our newest range of vegan and gluten-free deliciously baked snack bars. The Chocolate Mallow Marvels Bar has proven to be the bakers delight with sales soaring in the first quarter. With over 25 years industry experience, this baker has developed a moreish range of free-from bars which will have you second guessing their ingredients; being a vegan never tasted so good! 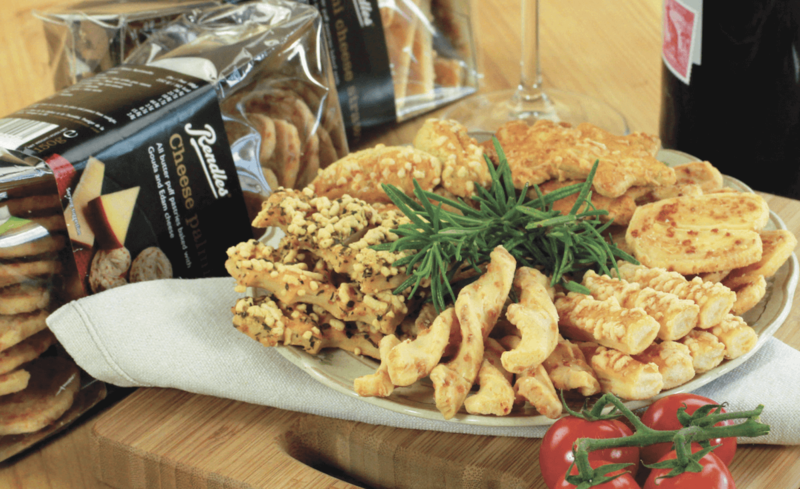 Request your samples today and taste for yourself! Be bold and be BRAVE. If you’re looking for an innovative brand to add to your shelves then look no further! BRAVE is the brand that is 100% vegan, high in protein & fibre, low in fat & full of flavour!! These spilt peas are grown, harvested and roasted in the East of England with a focus on maintaining a local supply chain. 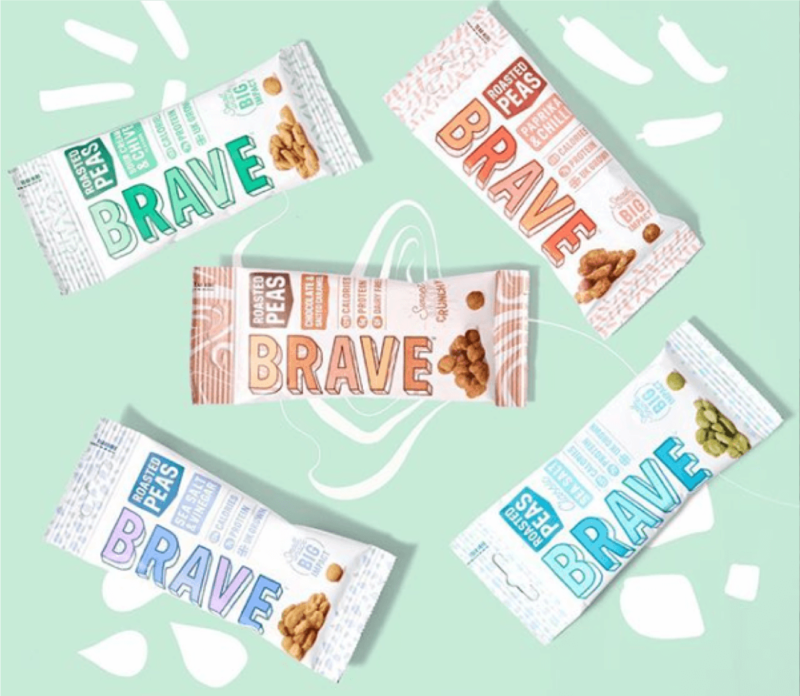 Amber and Seb are Brave’s co-founders who came up with this superfood grab & go snack. Their shelf-popping packaging, appealing flavours and creative concept has seen sales more than double since January. Corners are a brand that are committed to making snack time better and we couldn’t agree more! These top selling healthy Pop Corn, Pop Protein, and Pop Veggie crisps are an original alternative to your mainstream crisp brands. Big in flavour, low in fat and 100% vegan & gluten-free, Corners are one to consider for a snack range with a difference! I'm sure you'll all agree that the Speciality Foods market seems to be like a world of its own, where most of us know of one another and industry news travels fast! Although January may be a slower month for retailers, there is no shortage of industry news, with plenty of brands which are stocked by Springvale, featuring in the headlines recently! Manilife, the Peanut Butter which everyone is talking about, is no stranger to being in the headlines. Recently, The Daily Mail described Manilife as 'deliciously tasty', and scored their nut butters a 10/10 for taste (above some big competitors). We are excited to watch this brand grow, and build on what was a very successful launch with SVF in January! Think Manilife could suit your store? Request for a sample today, once you've tasted it, you'll want to join the Manilife craze! Another brand which has been recently added to the SVF collection and has attracted the lime light recently is Purely, who's Plantain Chips are a first in their field and come with an array of health benefits, something which normal potato chips somewhat lack! The founder of Purely, Stefanio Pellegrino, has launched her brand to fame in various news columns, including one written by Food Brand Consultant Ian Hills which you can read here. Here, the brands delicious seasonings and innovative product are praised. We can't wait to see what the future holds for Purely Plantain Chips! 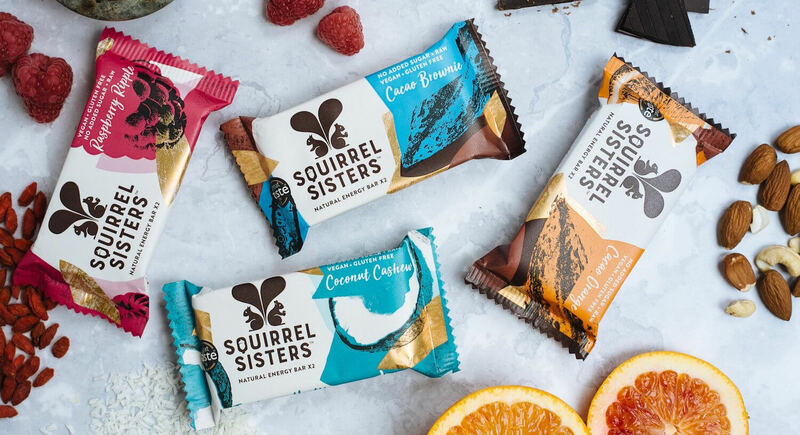 Squirrel Sisters have been in the news following the big reveal of their new branding which they have been working hard on for nearly a year alongside one of the UK’s leading design agencies, Design Bridge. Squirrel Sisters stated that they 'wanted to refresh our brand so it was more aligned with our personality and brand values.' The new packaging is certainly eye ctaching, with newly added bursts of gold foil which catch the eye on the shelf! Keep your eyes peeled for the launch of their new pouches, which are a nice option for a larger healthy snack share bag - not that we are planning on sharing any...! After being launched in January, the Sauce Shop Sauces are taking over our condiments category this quarter! Their 12 Great Taste Award winning sauces have enjoyed countless recognitions for their design and taste in the news, with Foodism raving about their Siracha Mayo in a write up last year. The Telegraph scored their Siracha Hot Sauce an impressive 10/10 stating its 'the UK's best hot sauce' no less...! 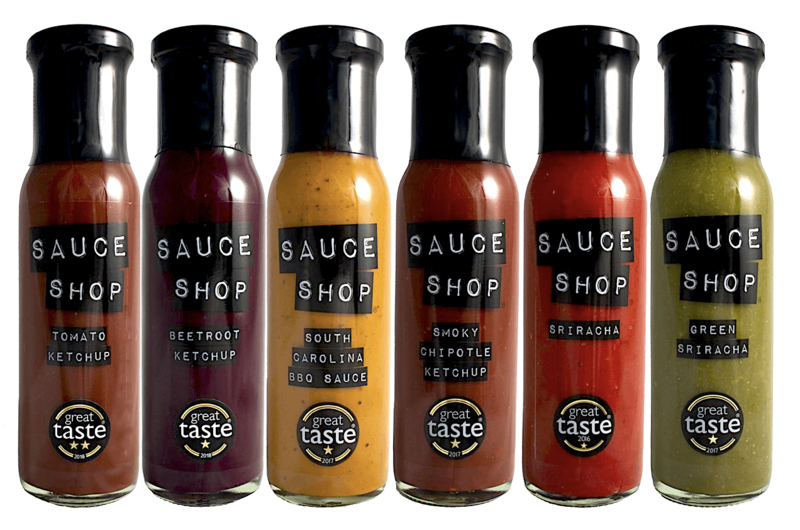 Sauce Shop have also enjoyed features in Olive, Food and Travel, Metro, Guardian and the Independent, so if you are looking to add a condiment to your store which you know is guaranteed to fly off the shelves - look no further! Our own brand Snak Shed is currently having a makeover! 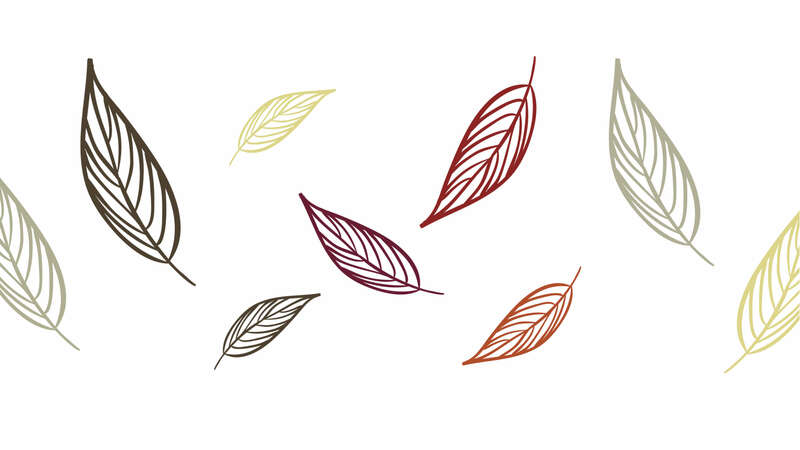 We are excited to reveal the new branding and concepts soon - watch this space! 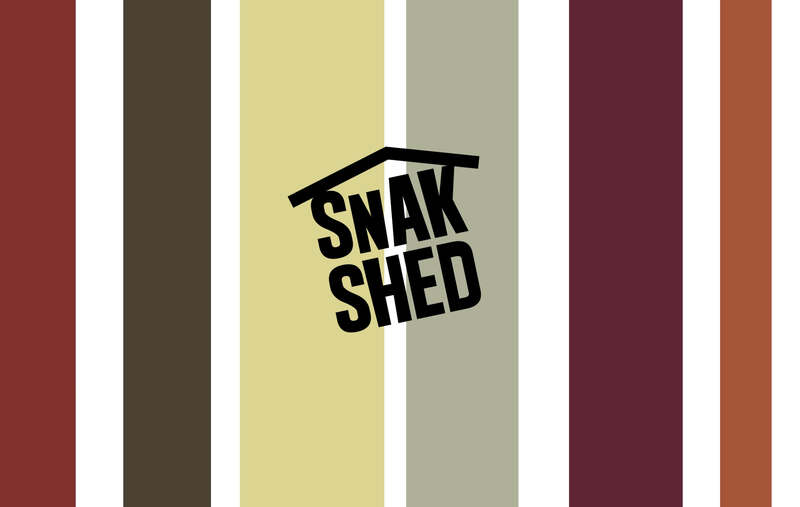 Follow the Snak Shed Social pages for updates on the rebrand! You can still buy the original Snack Shed range which is exclusive to Springvale Foods Ltd here! The best sellers include the Pork Crackling, Chilli Rice Crackers and Honey Roasted Mixed Nuts. The Nut Brittle bars also fly out too - available in 3 varieties, Peanut, Almond and Sesame! to be launched later on this year! As with the current Snak Shed range, the new lines will be exclusive to Springvale Foods! After the success of 2018, where we welcomed various new brands onboard, we now head into 2019 with a fresh group of newbies who we are excited to be partnered with! We welcome the very popular, and very delicious (!) Manilife Peanut Butter! Their nut butters have a creamier texture and triple the crunch. Their best-seller, 'Deep Roast Peanut Butter' is roasted for longer for a more intense flavour. A new addition to our drinks brands are the delicious traditionally made lemonades from Hullabaloos. Their range of 33ml and 750ml bottles are all Gluten Free, Vegan and contain real fruit (never from concentrate) and no Artificial Colours, Sweetners or Preservatives. 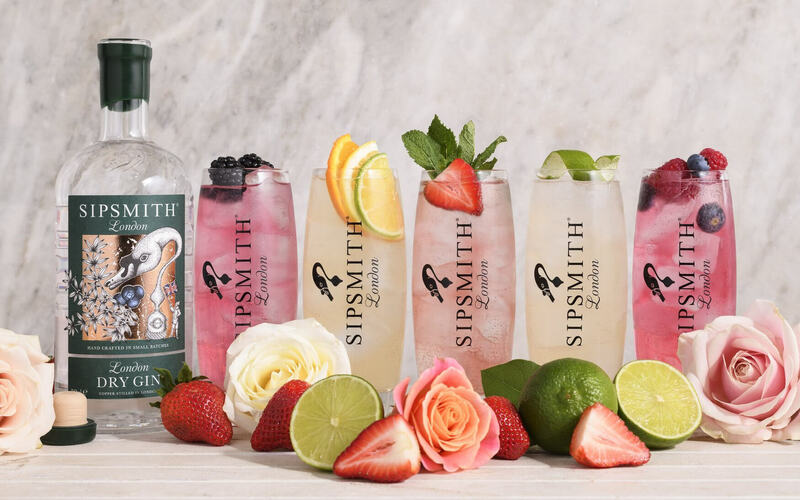 We have partnered with London based Sipsmith Gin, for those seeking a new Gin brand. Their eye-catching gins are handcrafted in small batches, dubbed 'Proper Gin', made the way it used to be, the way it should be! For those with a sweet tooth, we have the moreish Kin Toffee Vodka straight from the heart of the English Lakes! Hand Blended In Small Batches and sporting rich caramel tones, the soft kick of this Great Taste Award Winning Toffee Vodka is guaranteed to impress! Another new addition to our alcohol category are the FAIR Gin Liqueurs. Hand crafted using high quality ingredients that are ethically sourced, Fair Respect 200 Rules To Ensure The Farmers Get A Fair Price to become the World's First Fair Trade Certified Spirit Brand! A new name to the Speciality scene is The Yorkshire Flapjack Company which are now currently only available from Springvale Foods for those looking for wholesale pricing. Their flapjacks are incredible thanks to the finest ingredients and Yorkshire know how which go into their recipes. They have recently been awarded a Great Taste award, and we are sure there will be plenty more awards to follow! We have the local brand Davina Steel as a new addition to our Bakery and Cereals category with her Gluten Free baking kits! From classic loaf kits, to flavoured focaccias and more, Davina has you covered when it comes to award winning gluten free delights. We have also teamed up with Sauce Shop, who have you covered when it comes to delicious sauces that pack a punch! The sauces with 12 Great Taste Awards to their name, are made by hand in small batches and pride themselves on their policy of 'No Junk. Real Flavour'! Since the launch of our brochure on 2nd January 2019, their sauces have been flying out the door - so grab a case and see what the hype is about! Straight from Greece, we have the delicious preserves from Arodama, a brand who's premium Cretian Ingredients result in authentic Mediterranean flavours! Arodama is exclusive to Springvale in the UK speciality wholesale market and boasts an impressive 85% Fresh Fruit in each jar (its competitiors contain an everage of 60-70% fresh fruit per jar. So if you love powerful fruity flavour - look no further! For those looking for new snacking brands, we have also teamed up with Purely Plantain Chips to offer you something a bit different. Their plantina chips contain 30% Less Fat Than Potato Crisps and are high in Potassium, high in Fibre, low in Sugar, a source of vitamins. As if that isn't enough - they are also Vegan and Gluten Free! Also new to the snacking category are the tasty Pork Scratchings from Mr Tubs. Available in 6 delicious flavours or a mixed case for those who can't decide. They also have a clip strip which incorporates their best-selling flavours in bags, on a handy clip strip to save your shelf space! We have plenty more new brands to choose from including Blackbee Honey, FAIR Drinks, Hassetts Bakery and Heavenly Bakes. Shop all new products here. Available to order until Friday 1st February! With Christmas products now starting to appear on shelves, it’s time to reveal what products proved popular with buyers this year, and so what you’ll see in Speciality stores across the UK this Christmas! Tiptree, a brand which needs no introduction, will have a presence on many retailers’ shelves this Christmas. Tiptree Mincemeat, a must have for Tiptree stockists over the Christmas period, has been the 4thmost popular Christmas line out of the 1,500 lines we stock for Christmas. 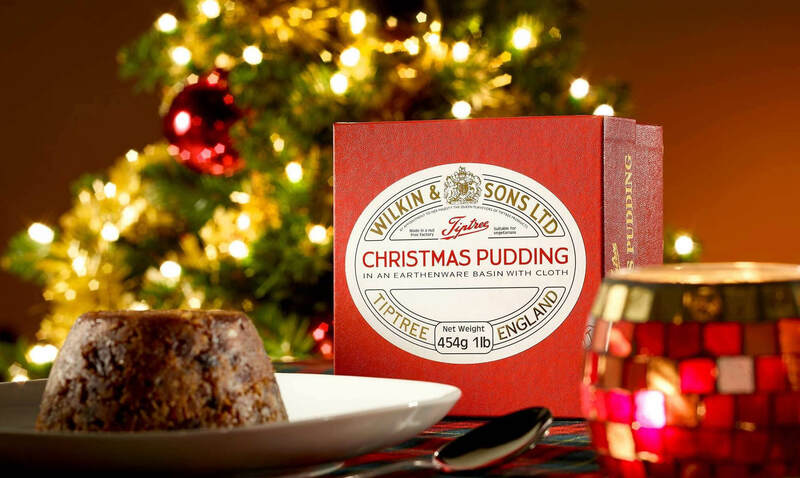 Other lines in the top 20 Christmas sellers from Tiptree are their 454g Cello Wrapped Christmas Pudding, Christmas Conserve, Brandy Butter and the Four Miniature Preserves Gift Box. The Tiptree Gin Liqueurs are still our best-selling alcohol product, a great product to have in your instore Christmas tasting evenings! Other products which hold their position in the top 20 from last Christmas, are the Lovemore Gluten Free Mince Pies, Opies Pickled Walnuts, Belvoir Mulled Winter Punch, New Berry Fruits Jewels, Sunvale Jelly Slices and Mrs Darlington’s Mincemeat with Brandy! The Farmhouse Biscuits range holds top spot for the tinned biscuit category, with its ’12 Days Of Christmas’ Tin selling the most to earn its space in the top 20! As ever, it’s likely that you’ll find a Border Biscuit or two in most households this Christmas, with the Chocolate Gingers Hex Boxes being the best seller of their range (just outside the top 20 of our 1,500 products) closely followed by the rest of their Biscuit gift packs! A new entry to the Top 20 is the Castello ‘Heart’ Prosecco, proving that the British Prosecco addiction is still going strong! The Gluhwein, another new addition for this year, certainly lived up to expectations, with over 2600 bottles leaving our warehouse, I’m sure you’ll come across one in your travels during the Christmas period, or perhaps one of the Display units which proved popular amongst our larger Garden Centre buyers! The beautiful blue bottle of Winter-Secco (a festive Prosecco with hints of cinnamon and nutmeg), also won over many buyers, with over 1000 bottles now distributed among our customers ready to get the Christmas parties started! Popaball’s bursting bubbles have taken the market by storm! 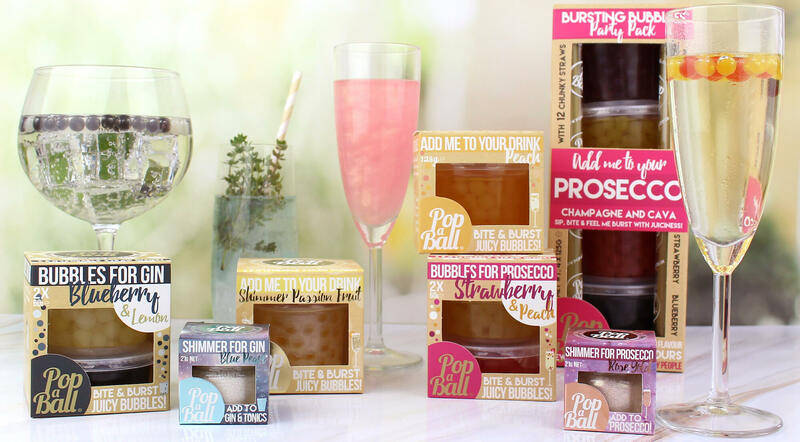 Their flavoured bursting bubbles and shimmers are perfect for the festive period with the gallons of Prosecco and Cocktails that are likely to be consumed! The most popular line this Christmas is the Rose Gold Shimmer (edible glitter in a small glass keepsake jar- what more could you want?! ), with the bubbles for Prosecco and the Passion Fruit Bursting Bubbles following closely behind! Their gift packs were also favoured by many, a great gift for Christmas but also any time of the year – the Popaball range is now available All Year Round! Dreimeister, a new brand for 2018, proved very popular with its best-selling line, the “Chocolate for Wine” 12 Coin Wooden Box” finishing as our 16th best-selling product – evidence of the increasing popularity of food pairing products! In fact – all of its Chocolate Pairing Boxes sold well within the top 30% of Christmas products – something to add to Christmas range next year if you missed out this year! 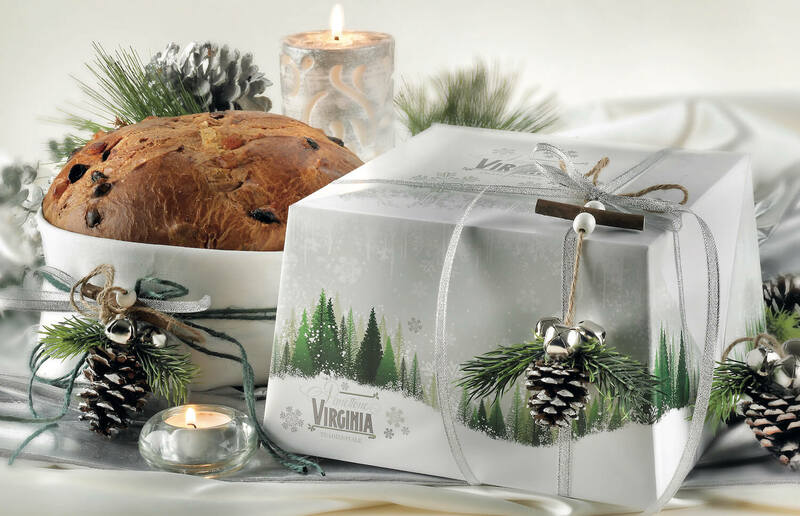 “The Dreimeister Stollen cakes also proved popular – as expected being such a popular festive tradition! Rendles, a brand exclusive to Springvale, always sells well for Christmas! Their moreish Cheesy Bites which come in various shapes are very popular for Christmas party hosts and Christmas Hampers, with some buyers ordering over 200 cases to meet their customer base demand! The Cheese Trees and Cheese Starts are the most popular Rendles lines at Christmas, each ranking well within the Top 10 Best Selling Christmas lines! The packaging of Petite & Sweet, a local brand set up by a mother and daughter’s chance encounter with a chocolate making course, won the hearts of many buyers, and it’s safe to say the chocolate inside tastes as good as the bars look! Their ‘Taste Of Christmas Bar’ was the favourite with its unique festive flavours of Cranberry, Sultana, Almond & Marzipan. The unique ‘Chocolate Making Kits’ also proved popular, with ‘Festive Friends’ version being chosen by buyers from all sorts of retailer types! Another newly added confectionery brand whose classy packaging and delicious flavours attracted many is The Fudge Kitchen. As expected, the best seller from their Christmas range is the ‘12 Flavours Of Christmas’ Box with 12 quirky flavours including Stollen, Speculoos and Christmas Pudding Fudge! Their Drinking Fudge Gift Sets followed close behind along with their award-winning Sea Salted Caramel and Gin Fudge (both flavours are available All Year Round). As ever, Panettone’s of some sort make their way onto most Christmas orders! Following Galup’s launch of exciting new lines for this Christmas, their ‘Colour’, ‘Christmas’ and ‘Vintage Chocolate’ Panettone’s proved most popular. Amaretti Virginia also boasted an impressive display of new lines for 2018, with their beautiful Frosty Green branded range toping their sales. The Panettone Display which returned from last year’s brochure topped its 2017 sales by miles. The Sweet Potato Spirits Company have gone from strength to strength this year, with over 5,500 of their eye-catching wax topped bottles leaving our warehouse. From their delicious array of flavours, the Marshmallow Moonshine proved the most popular flavour, closely followed by Toffee Apple Moonshine and Raspberry Gin. Of the three Gift Packs, the ‘Gin Collection’ was the most popular with buyers this Christmas – however this could change since these products are available All Year Round so it’s not too late to order this in time for the festive shopping period! Lottie Shaw’s, the Yorkshire based bakery renowned for her delicious treats proved as popular as ever, with over 3000 Gin Mince Pies having left our warehouse ready to be demolished by hungry shoppers! With buyers taking note of the unrelenting popularity of Gin, the runner up from the Lottie Shaw Christmas range is her Sloe Gin Fruit Cake. Following closely behind are her Deep Rum Filled Mince Pies, and her Gingerbread Reindeers! 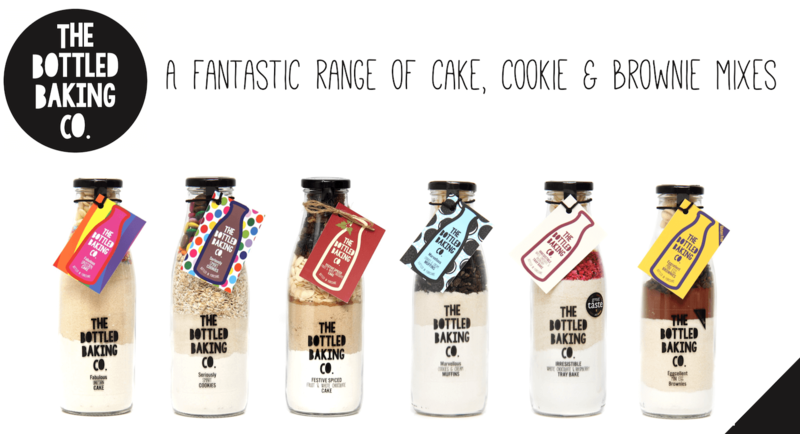 A brand with a real point of difference and a sentimental background story is The Bottled Baking Co. A brand which made its way into the brochure mainly because our marketing team couldn’t help but fall in love with the cute bottles – but wow it has been really popular, so popular in fact that we now have it featuring in our Easter brochure which will be delivered to customers mid-October! Another range which proves that packaging is everything is The Lakes Distillery– whose Baubles filled with Gin, Vodka and Whisky, caught the eye of most! The large Baubles were the most popular, with Gin being the favoured drink (over 400 Gin Baubles to be exact!) followed by Vodka then Whisky. Their Rhubarb & Rosehip and Elderflower Gins, again in an eye-catching matte pink/green bottles made their way onto many orders too, proving the most popular of their range of 7 flavoured Spirits. Some of our customers have already sold out their Christmas stock – so don’t be afraid to contact us to place a top-up order. We will do everything we can to accommodate your requests and work with our suppliers to deliver the stock to you as soon as possible! 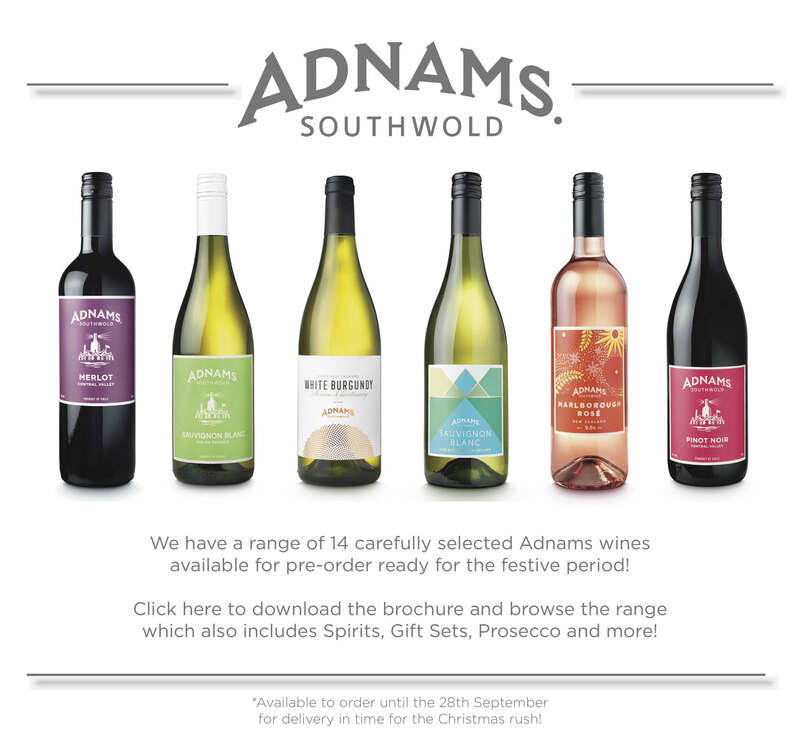 Exclusive Adnams Christmas Collection is now available to pre-order ready for the Christmas period! We have carefully selected a range of 14 Wines, Gin, Whisky, Mulled Wine, Low Alcohol Wines, Prosecco and Gift Packs to give you something a bit different this Christmas! Place your order by Friday 28th September to guarantee delivery intake for the Christmas period. and will be delivered to our existing customers in the next couple of days if you have not already received it! The brochure now has the pricing published inside for ease when ordering! which we can't wait for you to see! 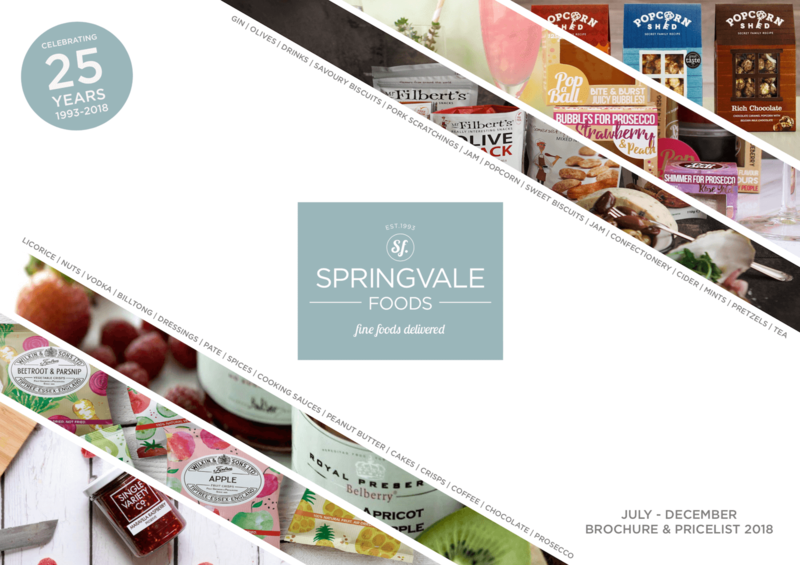 If you are a interested in browsing through our new brochure - please email maddie@springvalefoods.co.uk to request for a brochure be sent by email or post.